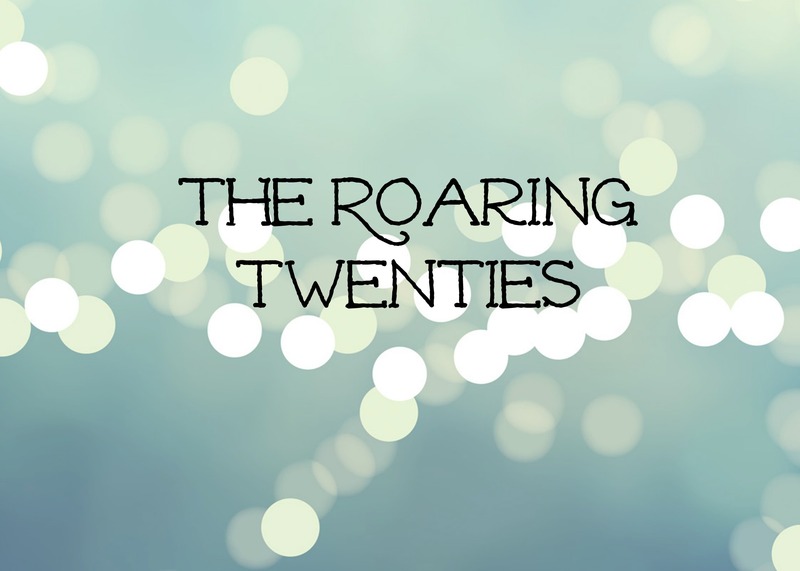 The twenties were a pivotal moment in history, the roaring twenties. It was a break in history where women were temporarily more free and prohibition seemed to promote more promiscuity. I would say that this is almost defining of the decade of being twenty. It’s the break in personal history where you are more free from responsibility- for some the prohibition of being 20 encourages pushing boundaries. The temporary break in our lives at this point is almost directly comparable to that of the 1920s. I say this is a temporary break in the history of our lives because there are fewer responsibilities that we have. There is less obligation to our families and most don’t start their own until later in the decade. It seems to hold this idea that this is them time for self-discovery and self-awareness. The 1920s was a pivotal moment in history and our twenties I would say play a part of the most pivotal moments of our lives. I am twenty, in college, work a side job here and there, and I have absolutely no realistic clue of what I want to do in the future. I don’t think I’m alone. Sure there are the things I want to do and I think everyone has those and for some, those are the attainable things they can do, for me these are the dreams that I probably won’t do. There are the things that I would be open to do and that’s probably more of what I’ll end up doing and that’s what I would say most people figure out in their twenties. The figure out what they would be okay with doing for the rest of their lives. You find a career- or at least that’s the idea. I guess you can also find out what you really don’t like in order to single out what you really do like. I think the decade of our twenties is also a time for blossoming relationships- both romantic and friends. Like I would say that by the time I’m 29 most of my friends will be married or living with their significant other or in a serious relationship. This is the period where people get into those long term relationships, of course after flings and other various not-relationships but engaging in feelings and such with others. For most I would say that these have the ability to turn into something more providing the means for a long-term relationship which you know turns into marriage and such. I also think the twenties is where you meet like your life-long friends. Maybe I think this because a lot of my mom’s friends were friends she made in college, but I really believe that. I also believe that there are a lot of my friends from prior to college that will continue to be my friends but there is a difference. My college and friends and I’m assuming other friends I will make in my twenties are different then the friends I had in high school and before. I live with my friends now- I know I can tolerate the for days, weeks, and even months on end. There are less breaks here. I have an extended family here and that’s what these friendships have become- an extension of my family. You have dinner with the same people every night and you hang out with those people on the weekends. I’m sure there are some people that I see more often here then I see my family in the summer. I think some people concentrate so much on finding a perfect romantic relationship during their twenties they forget to remember that they can make some of the best friends in the world. I guess I really don’t know though- I am in fact only twenty. Maybe this is my idealistic view of what my twenties are. Maybe you won’t find the love of your life until you’re 32 and maybe you won’t know why you hate your job and figure out what you want to do until you’re 47. I hope these aren’t true not only for myself, but for you too. Right now I like my vision of the twenties. I like that I see them as this time in my life where I have a different kind of independence and freedom even if it it is a naive point of view. Next Article A Year Changes Everyone. I hope you know that if you try hard enough, you can do what you want in life. Also, while it’s good to have goals, don’t pressure yourself into thinking you have to get married or find your significant other in your twenties. I say this because I know a lot of people do, but that I also feel in a lot of cases, people rush in without really being ready. I do hope though that you find what you are looking for! You’re a great person! Thank you! I agree that a lot of people seem to rush things.